The Ministry of Social Development is working to promote the inclusion of vulnerable people. In this sense, social policies bring material and symbolic resources with the objective of achieving equality in access to public goods and the development of capacities for the exercise of full citizenship. - Family Action Centres: they are spaces for the Promotion and Integral Protection of Rights, constituted as comprehensive care places with the aim of providing the necessary and essential items by complementing, care guiding and supporting families, with a preventive and restoring role. There are 29 State Family Action Centres which assist 1,606 children and 334 adolescents. - Day Centres: they are spaces where different workshops are carried out, aimed at strengthening the role of families and also the access of children to non-formal educational spaces, promoting preventive and restoring actions. They coordinate the action of different communal, municipal and/or provincial offices. There is a network of 88 Day Centres which assist 2,105 children and 1,263 adolescents. It also upholds the formation of the Local Services on Promotion of Rights in 152 cities of the province. It should be noted, that in Santa Fe there are 706 children and adolescents separated from their families after violations of rights who are in charge of the Secretariat for Childhood, Adolescence and Family. They are housed in extended families (309), in supportive families (70), or in Residential Centres (315). There is an emergency call service that guarantees the interdisciplinary approach to situations of threat or violation of rights of children and adolescents. The system also has the Provincial Council for Girls, Boys and Adolescents, a consultative and advice body on promotion and protection of rights of children and adolescents. Throughout the province, 180,000 people receive the Citizenship Card for the purchase of food in affiliated shops. With the creation of this card, the beneficiaries (families in situations of nutritional vulnerability) have been benefited by having greater accessibility through this means of payment. On the other hand, 570 soup kitchens, municipalities and communes receive food assistance through the Social Nutritional Programme and Institutional Cards. The Ministry also works jointly with other areas on climatic emergencies or situations of social vulnerability through direct assistances. The Provincial Institute of Santa Fe Aborigines (IPAS) was established in 2009. From December 2011 it has been formed by five directors/coordinators elected by the Assembly of Aboriginal Communities, its President is elected by the Provincial Governor. To connect the Aboriginal communities with different areas of the provincial and local governments. This Institute recognizes the communities as corporate entities subject to public law, providing them the right to sign on their behalf the possession or ownership of their land with unattachable, imprescriptible, non-alienable and free of provincial taxes character. According to the 2010 census, in the province of Santa Fe there are 48.265 persons belonging to indigenous peoples, who represent the 1.5% of the total provincial population. The Government of the Province works to enforce the compliance of laws, conventions and treaties that provide for the rights of women and sexual diversity groups. Promoting the equality of conditions in the various fields where the everyday view of these groups is developed. Training members and representatives of the three powers of the State to implement gender policies. Facilitating spaces for discussion and reflection on the issues of gender in academic, professional and institutional formation of the civil society. Working from a second level of intervention accompanying and strengthening the municipalities and communes of the province of Santa Fe, as well as professional teams from various public and private agencies working in the restoration of rights violated in relation to gender. Attaining the creation of a Provincial Advisory Council with the participation of organizations of the society involved in the topic to work on the design of public policies. Promoting gender policies as a cross-cutting issue in the different ministries to support equal opportunities at State levels. It has held conventions to create and/or strengthen territorial teams that address gender issues in more than 150 municipalities and communes. It has created the Protection Homes Network for victims of gender-based violence. There are 12 houses with accommodations for 120 women and their children, and other ones are being built. It has developed an Assistance Guideline for Situations of Gender Violence. It has set up a Provincial Council of Prevention of Gender Violence. It has consolidated a team of permanent guard on violence against women (24/ 365) with an emergency phone number. It has regulated the Law on Gender Violence No. 13.348 that adheres to the national law No. 26.485. The logic that articulates the diversity of actions in the context of social policies for citizens aging is the logic of rights and dignity. An elderly person is a subject of rights, so the Ministry is aimed at building citizenship, participation and quality of life for the senior citizens, promoting and facilitating an intergenerational meeting and thus projecting a society for all and all different ages. The goal is to challenge the "culture of indifference" and consolidate the culture of solidarity. 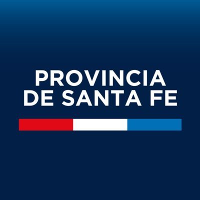 - Assistance for elderly people: the Government of Santa Fe provides geriatric services for elderly people with unsatisfied basic needs, through admission in hospitals or home medical care. In order to provide these services, the government has subscribed agreements with the SAMCos, which implement geriatric services that include comprehensive and permanent care (accommodation, food, clothing, medicines, health and multidisciplinary care), as well as the hospitalisation of the elderly. - Monitoring, control and opening of private nursing homes: for profit and non-profit private nursing homes operating in the province are registered, authorised and monitored. They provide services to adults over 60 with self.-help skills. - Agreements with municipalities, communes and development committees: the government articulates actions with the municipalities and communes in the province for the comprehensive care of elderly adults, providing bimonthly assistance to communal households to meet medical expenses, food, accommodation, recreation, support and psychological containment. - Agreements with non-profit private entities: through this programme, it is satisfied the needs of the elderly who require comprehensive and permanent assistance and are housed in non-profit private institutions and cannot afford the expenses with their own incomes. In order to secure this right, the State signs agreements with non-profit entities which provide funding to guarantee the hospitalisation of the elders, to afford the daily services of permanent accommodation, food, clothing, medicines, health and multidisciplinary care. There is also a Council of Seniors, with the aim of promoting comprehensive public policies for social inclusion, aimed at this sector of the population. The Government of the Province of Santa approaches sports as a way of recreation and a tool for social inclusion. Competitive and not competitive sports are fostered all around the province, as well as the support to institutions working in sports, especially small towns and neighbourhood clubs. It is a fundamental policy to guarantee the access to sport, promote sports development and promote physical and recreational activities as rights of all Santa Fe citizens. - Santa Fe Olympiads: it is a programme which objective is to promote coexistence, participation and appropriation of public spaces among adolescents. The organisation includes sports and cultural proposals. During 2014 more than 85.000 adolescents aged between 13 and 18 participated in the games in more than 82 towns in the province. - "Meetings at the Park": it is programme that includes sports and recreational activities for different ages, upgrading the social identity that the parks have in each neighbourhood. - "Young summer": it is a proposal aimed at young people between 13 and 25. The programme aims to provide a meeting place where young people from various districts of the cities have the opportunity to participate in sports, recreational, musical and artistic activities, and at the same time, it is open to new proposals arising from themselves. In this way, they participate in workshops related to watersports, percussion, street arts, puppets, plastic, etc. Some 110,000 children and adolescents attended summer activities throughout the province. - Elderly games: these games involve seniors from institutions in different cities through a fun, social and mass activity, and improve the social fabric providing tools for inclusion. This programme is intended to promote active ageing through the movement and games as key factors to maintain physical autonomy and contact with their peers. About 5,000 elderly adults participated in the games. - Scholarships for remarkable athletes: this programme seeks to support remarkable athletes from the province for their sports excellence and help them in the training for national and international competitions. The scholarships seek to extend their careers and facilitate their participation in national and international events. More than 450 high-performance athletes were awarded grants for support in international competitions. - Programme of Provincial Contributions to Sport Infrastructure in Clubs: it allows companies from the private sector to become strategic partners for the development of the sports infrastructure in clubs or primary institutions of their town or province, contributing up to 20% of what they paid in gross income taxes. Programmatic and technical assistance was provided to more than 200 clubs. The social economy emerges as a way to approach the development of the territories, providing a new perspective of socio-productive processes. In the recovery of the social dimension of the economy, it is essential the labour based on principles and values such as reciprocity, solidarity, partnership, cooperation, preservation of the environment and democratization of socio-economic practices. The territorial approach to the social economy is based on the promotion of existing capacities in a territory as a network of actors that constitute a system of relations that give a context and determines strategic actions to promote comprehensive and sustainable socio-productive processes in order to promote social inclusion and territorial development. In Santa Fe, approximately 100 towns in the province receive contributions to strengthen the social economy (microloans, trainers, subsidies for entrepreneurs to get supplies). On the other hand, there are 70 fairs of social economy which involve more than 400 entrepreneurs.